As promised, here is another 2020 Bulletin just before the Sportsman’s Dinner that will bring you right up to speed on our fund-raising. Sportsman’s Dinner – It’s a Sell-Out! Many thanks for rallying round. All 150 tickets for the event this Friday have been sold. Like last year’s dinner, there will be a full house. We were unsuccessful with our most recent application for a West Lothian Council Sporting Grant (third time unlucky). You might have seen in last week’s Linlithgow Gazette, however, that Linlithgow and Bo’ness Rotary have agreed to make a donation towards the cost of the tractor required to help maintain the 3G pitch surface. In fact, Rotary has donated £2,500 towards the purchase of an electric tractor and brush tow-kit and other brushes to be used by the club to maintain the new indoor pitch. Many thanks to them for that, especially as this is not in our current target so the donation helps us to avoid incurring this cost. After all, we need to keep the pitch in tip-top condition! Congratulations, Dave – and Thanks!! Dave Keddie was the name out of the hat when the annual draw for the 100 Club was made in the Club house on Friday 7 November. He won £800 but very generously he not only shared his good fortune at the bar in the Club with other members during the Scotland international last Saturday but he also has donated £100 to the fund-raising. We are very grateful. Dave’s luck might persuade you to join the 100 Club if you have not already done so. The next quarterly draw will be in February. The invitation to come and view the facility while the paint was fresh was taken up by more than 100 members who to man, woman and youngster appeared very positive about the final product. The evening also helped with the fund-raising because there was another “injection” from the 100 Club Draw to our fund-raising target plus a successful raffle. The raffle made £237. Quite a few have trotted in recently and some of them have been quite “plump”. Our piggy banks total has risen to £5,705. I wonder if we shall make the £6,000 milestone by the end of the year. To help us towards that the Fund-Raising Group have set two dates for a round-up. Remember at the round-up we ask you to bring in your pig even if is not full. It just gives us a boost. And you take an empty one away of course. The two opportunities for you to get your pigs in are (1) at the Club’s traditional St Andrews Day Coffee Morning on Saturday 29 November and (2) at the last training session for Minis and Micros on Sunday 14 December, when Anne and Gavin will come down to collect a sackful (they hope) of pigs. ONE LAST HEAVE! Just Over £20,000 to go! Pigs, draws, raffle and the generous donation has meant that in chasing our target of reducing £30,000 to £0.00 this season we have accumulated £9,324. This means that we are now down just above £20,000 at £20,676. The Sportsman’s Dinner should help us nudge a bit below £20,000 for the first half of the season. The Fund-Raising Group are working up the details of a busy spring programme of activity that should take us all the way to zero. The centre piece will be our Pound Round The Pitch on Saturday 14 March, where we want to see as many of our members as possible walking round the pitch, as described in the last 2020 Bulletin. It will culminate in the Golf Day on 1 May (another date for your diary). But en route to that we shall see an S3s Treasure Hunt and there will be another chance to hand in your old clothes and bedding for our third Bags2Rugby. And there could well be one or two other events to keep you entertained, as well as raise money. In the last Bulletin we mentioned that we would return to the question of what we would do if we exceeded our One Last Heave target. Firstly, we could be even more proud of our achievements than we are at present. Secondly, we need to bear in mind that, as part of the planning for this development, the Club over years built up its reserves. We have used some of these reserves as part of the Club’s contribution to the cost – along with the £60 odd thousand that we members have raised (the exact total will be in the next 2020 Bulletin). It would be good to have some slack to replenish the reserves sooner rather than later. Moreover, you will see the work in progress in brightening up the Club House. 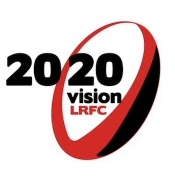 The 2020 Vision Project was always a two-fold process, of developing the new training facility and refreshing the Club House. As our volunteers carry on their work, we shall need to make some investments there as well. We shall all benefit from these improvements.